WOW!!! An amazing piece of preparation stunningly executed by none other than Andy Cowap. 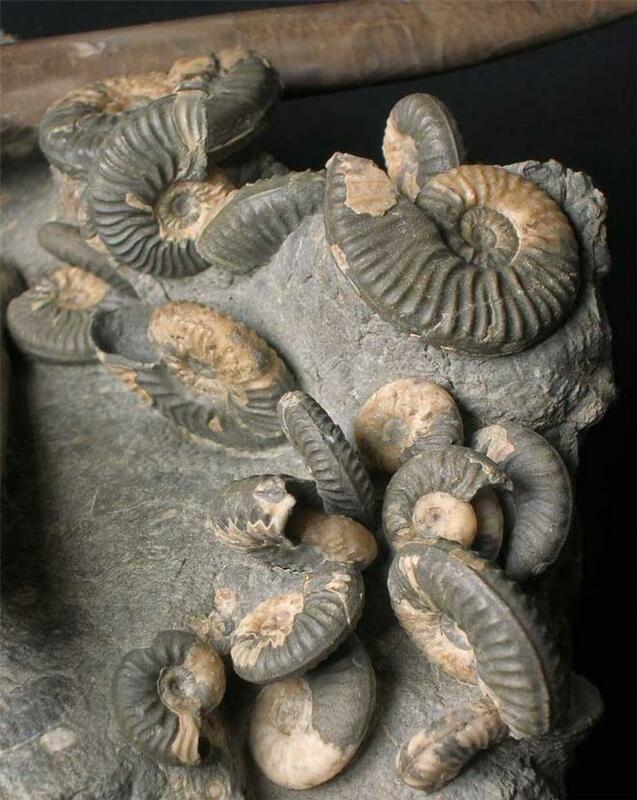 Well over 100 hours has gone into this magnificent fossil which was discovered by Andy in 1991. 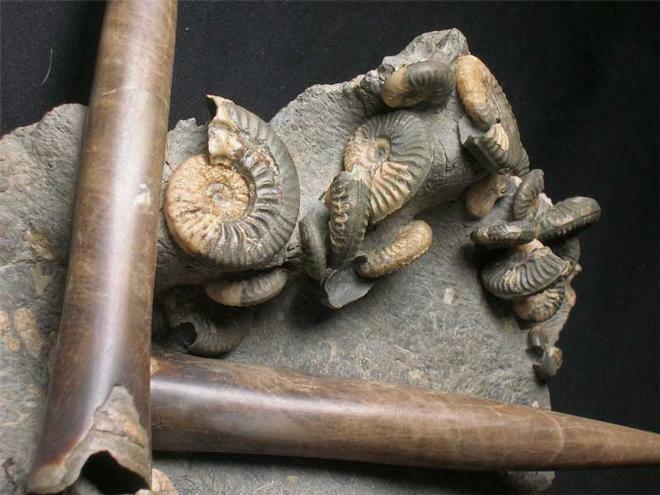 Any fossil material is nowadays, very rare, from this famous locality. 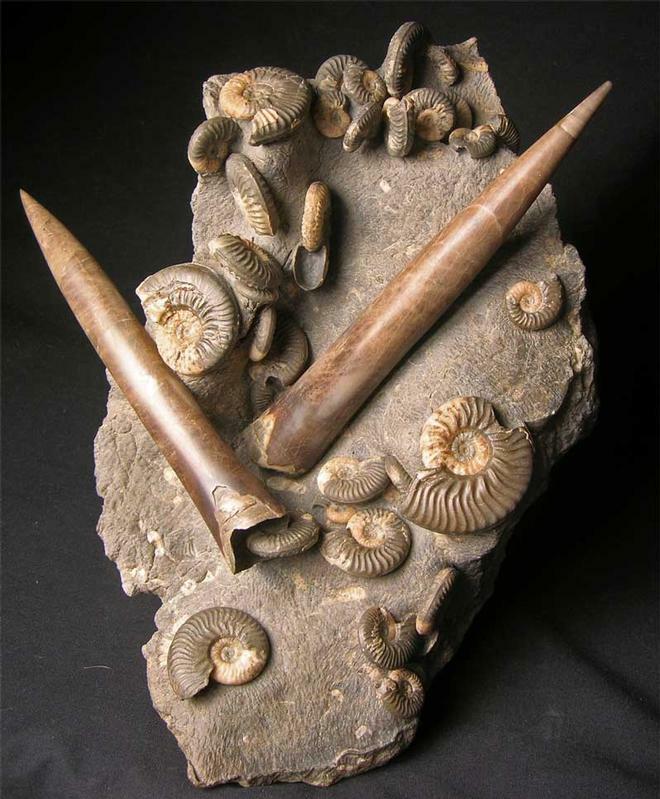 The depth with the ammonites and two belemnites is incredible and certainly a total one-off. In years to come, this fossil will become very important either as a natural history piece or probably a work of art. This extraordinary fossil would grace the world's finest collections. 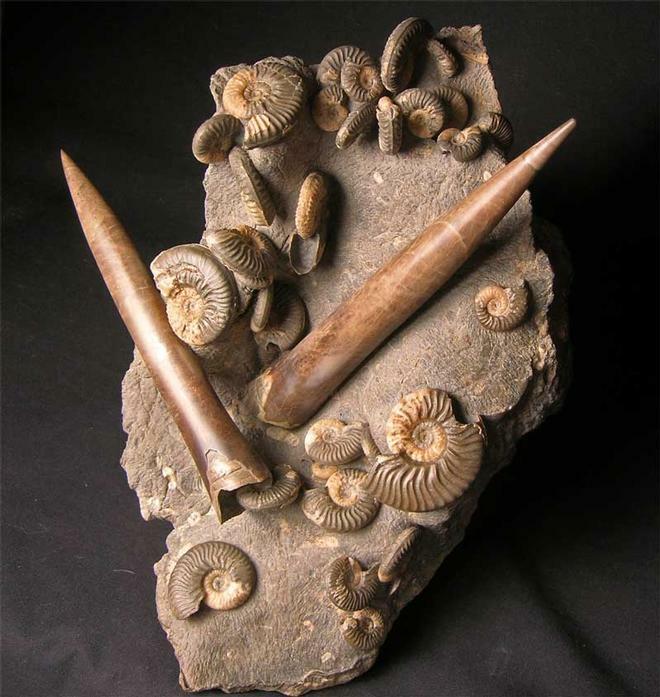 To get two belemnites on the same piece of rock from Bearreraig, Skye, is incredibly rare and maybe never to be repeated. Multi pieces of this superior calibre very rarely come on to the open market for sale, especially prepared by Andy Cowap.A substantial world fossil. Approximately 175 million years old. Here at Fossils Direct we are constantly striving to exceed our customers expectations.There are more images available on request and larger images of the specimen in Showcase fossils.